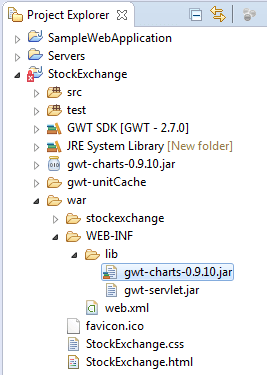 GWT does not contain pre installed repository for creation of charts. We can download its repository from maven repository. In gwt, charts are created through gwt chart tools also known as Google Visualization. Copy the gwt-charts.jar to the existing project or for new project. 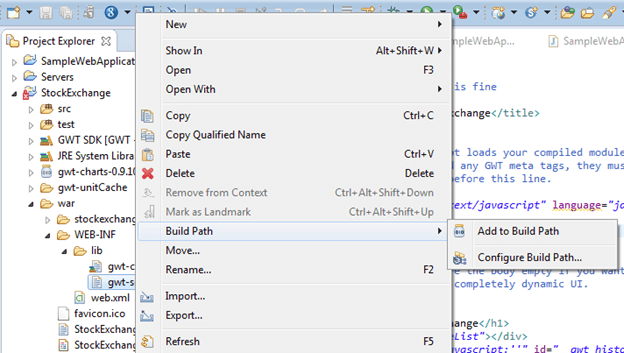 Right click the jar file and choose build path option then add to build path option. In this code, we implement the Area chart where area is shown according to the coffee production order. GWT charts have control features which enables chart creation to be in different control regions.